Lovin' Lyrics Music Promotions: LOVE AND THEFT IS BACK WITH A BRAND NEW VIDEO - "YOU DIDN'T WANT ME"
LOVE AND THEFT IS BACK WITH A BRAND NEW VIDEO - "YOU DIDN'T WANT ME"
CMA, ACM, and CMT-nominated duo Love and Theft first hit the scene with their debut single "Runaway" which landed Top 10 on the Billbaord Country Charts. They followed it up with their #1 Platinum selling hit "Angel Eyes" from their self-titled album with RCA Records which climbed to #4 on the Billboard Country Albums Chart. The duo have just released the video for their latest single, "You Didn't Want Me" from their upcoming album with Curb Records. The making of the video was a "family affair" as the set was built by Eric Gunderson and Stephen Liles along with Gunderson's father and their friend Clint Hazelgrove. Gunderson's sister Rebekah also appears in the video as the crazy ex-girlfriend, and the video's theme is a comedy inspired by 1940's noir stylized to appear as old decaying film as a visual echo of the song's subject matter of being tossed aside. Love and Theft are poised to make another run at putting another platinum plaque on their wall with this new single. Request it on your local stations now! 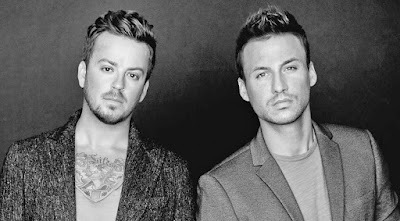 For more info on these great guys, check out www.loveandtheft.com.